March 19, 2019 (Sightline/IEEFA) — Record-setting oil and gas production in Q4 did not lead to corresponding financial success. To the contrary, U.S. fracking-focused companies “spilled alarming volumes of red ink in 2018,” according to a report released today by the Sightline Institute and the Institute for Energy Economics and Financial Analysis (IEEFA). The joint analysis examined performance results from a cross-section of 29 publicly-traded, fracking-focused oil and gas companies. 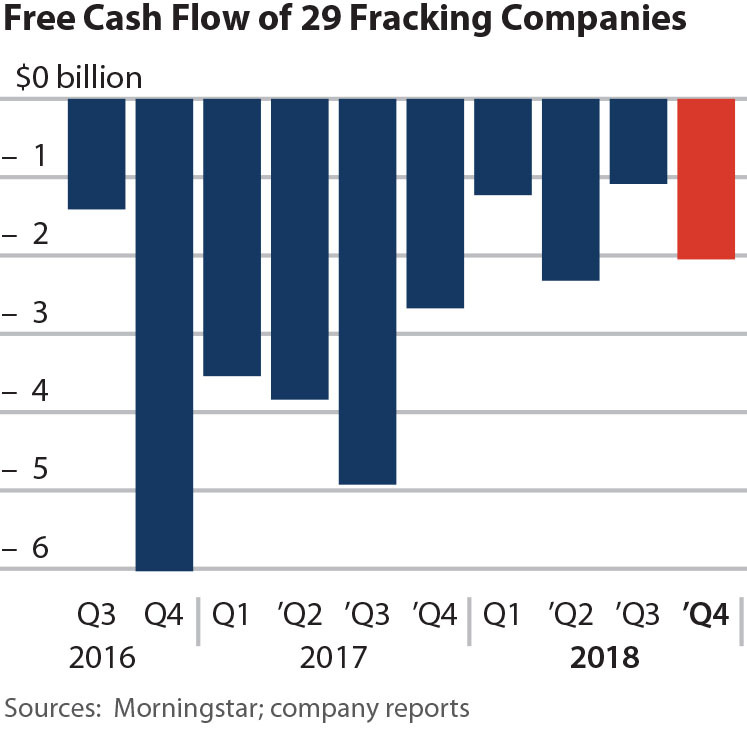 They concluded that these companies posted $6.7 billion negative free cash flows in 2018. “Until fracking companies can demonstrate that they can produce cash as well as hydrocarbons, investors would be wise to view the fracking sector as a speculative enterprise with weak and uncertain fundamentals,” the report concluded. Sightline Institute promotes sustainable policy and monitors regional sustainability progress in the U.S. More can be found at www.sightline.org.